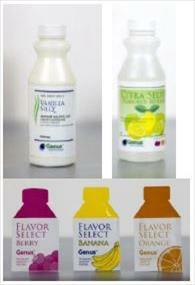 Imaging Products - Call 844-447-2587 to learn more. 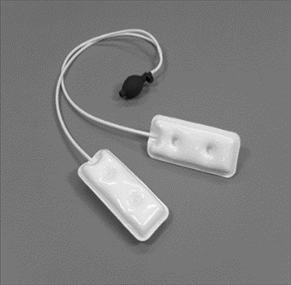 Description: Immobilization pads used to stabilize patient during MR or CT scans. 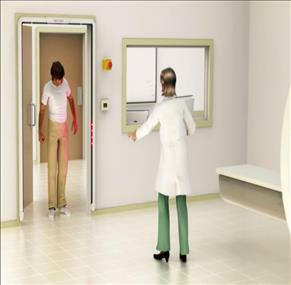 Prevents rescans caused by motion artifacts, which is a cost savings for the imaging center. Single-use disposable covers create a more hygienic scan environment for every patient compared to traditional foam material (no cracking, wearing of protective coating, etc.). Description: Head Stabilization Pad: An integrated solution designed for use with CT head supports that implements the same technology as MULTIPAD (inflatable air pockets with adjustable polystyrene beads) to improve image quality by stabilizing the patient during a CT head scan. Description: The PerformX ATC provides the best-in class motorized auto-positioning technology with fullyautomated tracking and manual override positioning. Electromagnetic coupling devices and clutches ensure safe and quick manual positioning of the tube head, wall bucky and tube stand. The fully counterbalanced wall bucky and tube units can be adjusted with near zero-force to any position. Manual override for quick positioning is a must feature in emergency environments. Users decide the level of automatization, from motorized movement only, to auto-tracking for all components or just for selected components. Single-workstation controls for both imaging and generator parameters supports streamlined workflow in busy hospital environments. Remote control system positioning is available from the tubehead and the wall stand, while each component offers control of motorized movements as well as manual override. DICOM compliant DR system includes two wireless 14x17” CsI detectors with industry-leading 100 micron pixel size and convenient rotational docking stations in both table and wall stand to switch easily between portrait/landscape positions and greatly reduce detector handling risk. 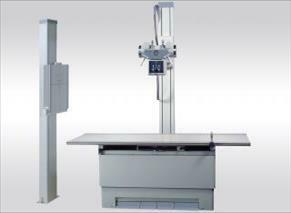 Description: The Halo OTS Overhead (CTM) radiographic system is a heavy-duty, manually operated, fully counterbalanced ceiling mounted unit supporting a wide variety of x-ray procedures. The Halo OTS can be easily positioned at any of the selected points within its range of travel. Single-handle control allows for fast positioning while the cablingis clean and carefully laid out. Convenient table/wallstand entering. Electromagnetic locks. 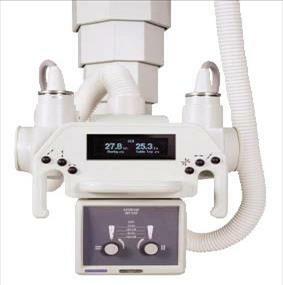 LCD display indicates the SID to tabletop/wallstand and angulation of the x-ray tube. Elevating 6-way table, and hospital grade wall stand. DICOM compliant DR system includes wireless 14x17” CsI detector with industry-leading 100 micron pixel size and convenient rotational docking stations in both table and wall stand to switch easily between portrait/landscape positions and greatly reduce detector handling risk. 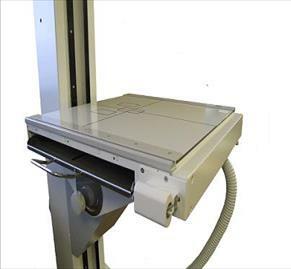 Description: The Halo OTS Overhead (CTM) Bariatric radiographic system is a heavy-duty, manually operated, fully counterbalanced ceiling mounted unit supporting a wide variety of x-ray procedures. 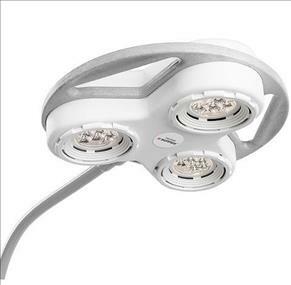 The Halo OTS can be easily positioned at any of the selected points within its range of travel. Single-handle control allows for fast positioning while the cablingis clean and carefully laid out. Convenient table/wallstand entering. Electromagnetic locks. LCD display indicates the SID to tabletop/wallstand and angulation of the x-ray tube. Elevating 6-way Atlas XL radiographic table offers extra large table top and high patient weight capacity of 765 lbs to accommodate larger patients. DICOM compliant DR system includes wireless 14x17” CsI detector with industry-leading 100 micron pixel size and convenient rotational docking stations in both table and wall stand to switch easily between portrait/landscape positions and greatly reduce detector handling risk. 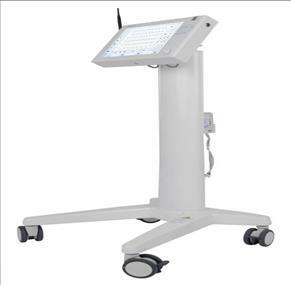 Description: The Halo OTS Overhead (CTM) radiographic system is a heavy-duty, manually operated, fully counterbalanced ceiling mounted unit supporting a wide variety of x-ray procedures. The Halo OTS can be easily positioned at any of the selected points within its range of travel. Single-handle control allows for fast positioning while the cablingis clean and carefully laid out. Convenient table/wallstand entering. Electromagnetic locks. 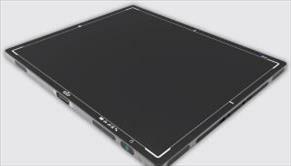 LCD display indicates the SID to tabletop/wallstand and angulation of the x-ray tube. Elevating 6-way table, and hospital grade wall stand. Configured to accommodate cassettes and cassette-sized DR detectors up to 17x17” in both table and wall stand. Description: The PerformX ATC provides the best-in class motorized auto-positioning technology with fullyautomated tracking and manual override positioning. Electromagnetic coupling devices and clutches ensure safe and quick manual positioning of the tube head, wall bucky and tube stand. The fully counterbalanced wall bucky and tube units can be adjusted with near zero-force to any position. Manual override for quick positioning is a must feature in emergency environments. Users decide the level of automatization, from motorized movement only, to auto-tracking for all components or just for selected components. Single-workstation controls for both imaging and generator parameters supports streamlined workflow in busy hospital environments. Remote control system positioning is available from the tubehead and the wall stand, while each component offers control of motorized movements as well as manual override. DICOM compliant DR system includes wireless 14x17” CsI detector with industry-leading 100 micron pixel size and convenient rotational docking stations in both table and wall stand to switch easily between portrait/landscape positions and greatly reduce detector handling risk. Description: The PerformX HF Digital Radiographic Systems are the most advanced radiographic systems manufactured and offered by Control-X. The various system configurations allow for a completely customized x-ray system built meeting or exceeding your specific imaging needs. Available with one or two digital DR flat panels, the Perform-X Digital Radiographic Systems are the correct choice for the best in DR technologies. 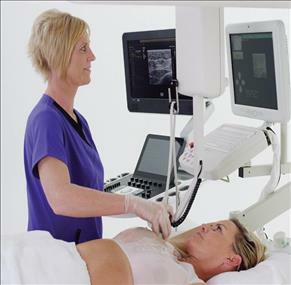 DICOM compliant DR system includes wireless 14x17” CsI detector with industryleading 100 micron pixel size and convenient rotational docking stations in both table and wall stand to switch easily between portrait/landscape positions and greatly reduce detector handling risk. Description: The Z-Motion stand is fully motorized and counterbalanced. For quick changes, the stand can be easily positioned in seconds when manually releasing the brakes. The stand is equipped with four electric motors for precise and effortless positioning. Z-Motion allows patients to sit, stand or lay down on a mobile table. The unique design preserves the alignment between the collimator and the digital receptor in any position. With an SID range of 100 to 200 cm (39.5" to 79"), the stand offers a variety of examination possibilities, including chest, oblique, table and lateral views. Includes DICOM compliant DR system with 17x17” fixed DR detector with 143 micron pixel size, enclosed in U-Arm housing to eliminate drop risk and reduce risk of theft. 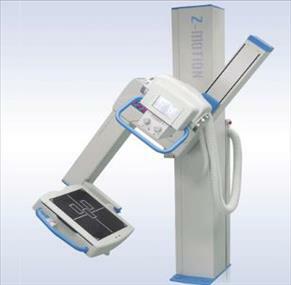 Description: Genoray Zen 7000 C-ARM 3rd Gen, 9" ii (Pain, Ortho, MSK) *Free software updates and troubleshooting for life of system *Remote Access Diagnostic Check for issue resolution Includes 2-year parts warranty, shipping, installation, 1-year labor warranty within lower 48 states. Extra shipping cost may be added. 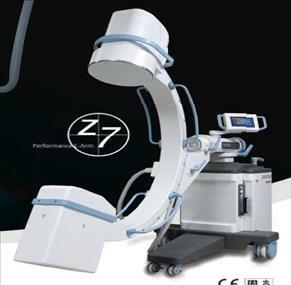 Description: Genoray Zen 7000 C-arm 3rd Gen, 12" ii, (Vascular) *Free software updates and troubleshooting for life of system *Remote Access Diagnostic Check for issue resolution Includes 2-year parts warranty, shipping, installation, 1-year labor warranty within lower 48 states. Extra shipping cost may be added. Description: Standard & custom sizes, Approx. half the weight of standard lead barriers! Description: Digital Wireless 14x17” Cesium Iodide DR detector with AED, Apex dicomPACS DX-R image acquisition software and workstation. DR detector has industry-leading 100 micron pixel size. Description: Digital Wireless 10x12” Cesium Iodide DR detector with AED, Apex dicomPACS DX-R image acquisition software and workstation. DR detector has industry-leading 100 micron pixel size. 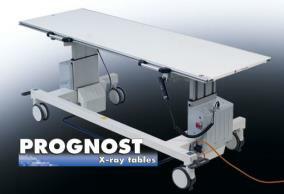 Description: Elevating radiographic table with a 4-way floating top. The table top travels 44" longitudinally, horizontally ±4.75" with the table top film distance of 2.4". Total of 12" elevation. Standard safety features are the anti-crash kit and foot pedals which control all movements. Patient capacity 660 lbs. 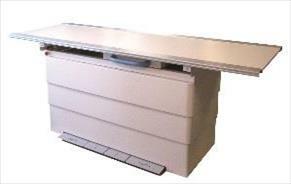 Description: Auto tracking elevating radiographic table with a 4-way floating top. The table top travels 44" longitudinally, horizontally ±4.75" with the table top film distance of 2.4". Total of 18.1" elevation (17.4" - 35.5"). 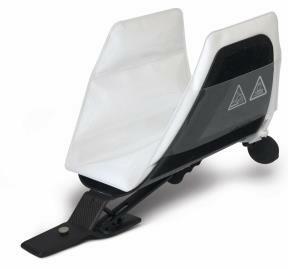 Standard safety features are the anti-crash kit and foot pedals which control all movements. Patient capacity 660 lbs. 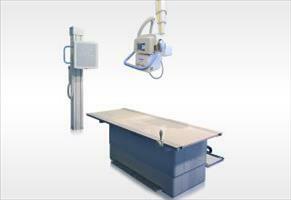 Description: Non-tilting radiographic Bucky table with 4-way floating top. 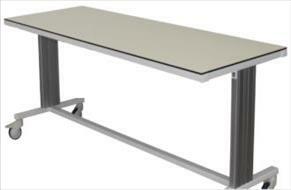 86" x 32" table top travels 43" longitudinally, horizontally ±4.75" and has a table-top film distance of 2.4". Patient capacity 500 lbs. 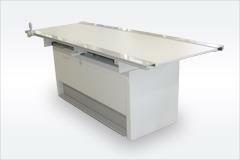 Description: The atlas elevating 6-way table is compatible with all standard x-ray equipment. With the atlas table, the operator can elevate and accurately position very heavy patients. 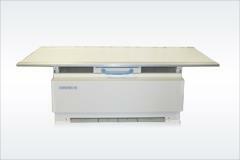 85x34” XL radiolucent table top, height range 23-34”, electromagnetic locks, patient capacity 765 lbs. 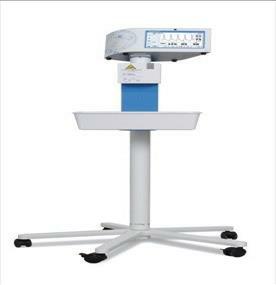 Description: Portable fixed-height table with radiolucent fixed position tabletop measuring 77" (196 cm) x 25.75" (65.5 cm) at a fixed height of 30" (76 cm). 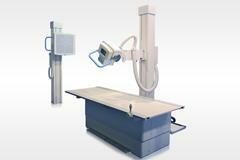 The XS is suited for use with swivel U-arm systems for digital & classic radiography at an economical price. The XS may also accommodate some C-arm systems. 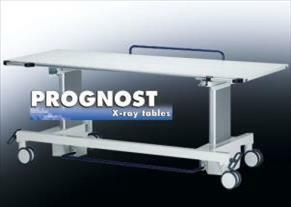 Description: Portable 4-way float table with a large range of movement for optimum positioning of the patient. Open construction allows quick positioning of table & patient above the image receptor. Solid construction for patient capacity of 500 lbs (230 kg) with composite top. 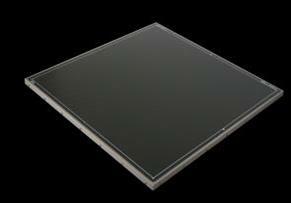 Table top available in 79" (200 cm) or 89" (226 cm) lengths and in 25.75" (65.5 cm) or 29.75" (75.5 cm) widths. Patient-friendly height of 30". Description: Motorized Floor-mounted tubestand offering column rotation, transverse movement and tube rotation, designed to work with PerformX radiographic systems with auto-tracking and auto-positioning. Userselectable auto-tracking between tubestand and table, tubestand and wall stand, and tube-receptor. Compatible with a wide range of industry standard x-ray tubes and collimator options. Available with tube head touchscreen control or membrane conosle according to facility needs/preferences. Description: Floor mounted tubestand with electromagnetic brakes and dual cable counterbalancing system for precise exposure positioning, maximum stability and safety for both the operator and patient. Ergonomic handlebar tube control with digital SID display. Ideal for studies from lower extremities to chest/skull expossures due to its wide range of vertical motion. Achieve vertical, longitudinal and transverse motions with minimal effort, due to the “easy-glide” design. 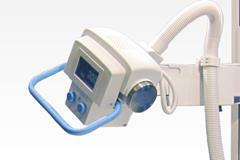 Compatible with wide range of industry-standard x-ray tubes and collimators. Platform rail base supports free standing installation, and available wall/ceiling mount for maximum stability. 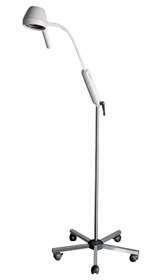 Description: Hospital grade, floor-mounted tubestand with vertical, longitudinal movement and tube rotation. Electromagnetic brakes and dual cable counterbalancing for safe and convenient operation. 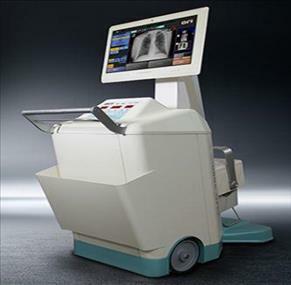 Compatible with wide range of industry-standard x-ray tubes and collimators. Floor to wall / Floor to ceiling configuration provides maximum stability. Description: Hospital grade wall stand configured to accept industry standard cassettes and cassette-sized DR detectors up to 17x17”. Description: Hospital grade wall stand with electromagnetic brakes, dual cable counterbalance for safe and convenient operation. Patient hand grips provide additional stability during exams. Accommodates CR cassettes/DR detectors up to 17x17”. Description: Hospital grade wall stand with electromagnetic brakes, dual cable counterbalance for safe and convenient operation. 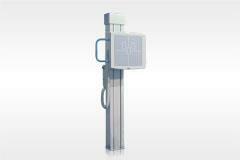 Tilt function supports full range of radiographic studies, and allows extremity exams at the wall stand. Patient hand grips provide additional stability during exams. 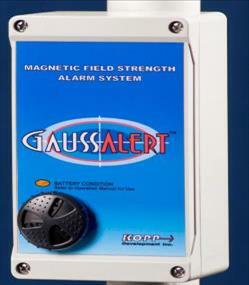 Accommodates CR cassettes/DR detectors up to 17x17”. 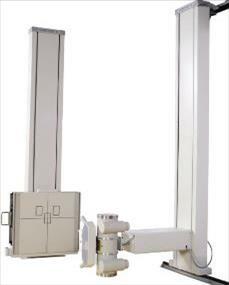 Description: Motorized Wall Stand with receptor tilt capability, designed to work with PerformX radiographic systems with auto-tracking and auto-positioning. Electromagnetic brakes, dual cable counterbalance for safe and convenient operation. Motorized positioning and bi-directional auto-tracking streamline workflow and reduce risk of operator fatigue or injury. 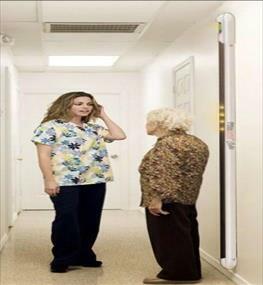 Tilt function supports full range of radiographic studies, and allows extremity exams at the wall stand. Patient hand grips provide additional stability during exams. Accommodates CR cassettes/DR detectors up to 17x17”. Description: The PCX 550 HF DR LC is a 50 kW, 150 kVp, 100 kHz, microprocessor controlled, single tube, high frequency generator with APR and touch screen control console or DR-integrated parameter controls. Ratings: 630 mA/79 kV, 500 mA/100 kV, 400 mA/125 kV, 320 mA/150 kV. Description: The PCX 850HF STR is a 65 kW touchscreen control console microprocessor controlled three phase, single tube high frequency generator with APR and touch screen control console or DR-integrated parameter controls. Rated at 140 kV/400 mA, 125kV/500mA, 100kV/650mA, 80kV/800mA. Description: The PCX 1050HF STR is an 80 kW microprocessor controlled,400-480 three phase, single tube high frequency generator with high speed starter, APR and touch screen control console or DR-integrated parameter controls. Rated at 125kV/600mA, 100kV/800mA, 80kV/1000mA. 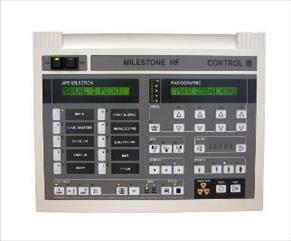 Description: The MILESTONE MS 425 HF LC is a 40 kW 125 kV microprocessor controlled single phase, single tube high frequency generator. Anatomically programmed with 100 examinations. Rated at 150kV/250mA, 100kV/400mA, 80kV/500mA. 208-240 VAC Single/Three phase input power. 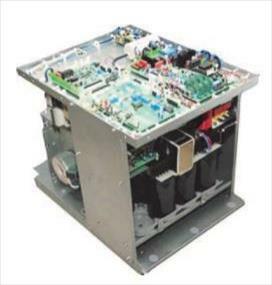 Description: The MILESTONE MS 525 HF LC STR is a 50 kW, 125 kV, 100 kHz microprocessor controlled, single tube, high frequency generator. Ratings: 630 mA/79 kV, 500 mA/100 kV, 400 mA/125 kV. Anatomically programmed with 100 examinations. May require line matching transformer. Description: Lead-Free Interlocking design and half the weight of lead brick.